If you were hoping to stock up on cheap storage this holiday shopping season, you might be disappointed. 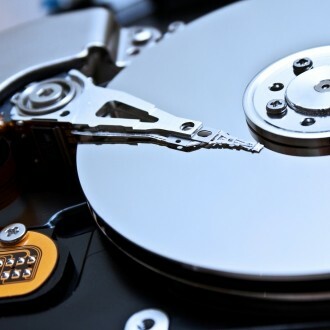 Not only could the recent flooding in Thailand slow hard drive shipments through the fourth quarter of this year, supplies could be affected through the end of 2012, according to Seagate CEO Stephen Luczo. Although Seagate's shipments are affected by the disaster, the company has been in good fortune. Two of its large factories have been spared by the floodwaters, but its business partners haven't been so lucky -- and therein lies the heart of the matter. Even though Seagate's facilities have remained out of harm's way, the company relies on parts from 130 or so suppliers, many of which are still under several feet of water. Western Digital and Toshiba have factories in the flood zones and all told, the industry is expected to ship 50 million drives short of its 180 million target. Despite that gloomy projection, many sources claim that the crisis isn't as bad as it looks. One such article by DigiTimes yesterday says hard drive prices could begin dropping by December and that the balance between supply and demand is "not as serious as originally expected." Some of the optimism stems from the relatively weak PC demand. Others cite the recovery of a Nidec plant that produces HDD motors. DigitTImes' sources believe we will see an "obvious improvement" in the situation by January 2012. Seagate's boss isn't so confident, however. "This is going to take a lot longer than people are assuming, until the end of 2012 at least," he told Bloomberg. "And by then, demand will have gone up." The industry is hopeful that floodwaters will disperse by early December, so Luczo believes it's unrealistic to expect a full rebound by early or mid-2012. The situation is more complicated than just waiting for water to dissipate. Many facilities will have to replace their gear and some will be forced to relocate. Neither will be cheap and Seagate is reportedly fronting loans to some of its suppliers so they can get back on their feet.